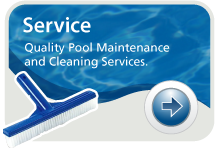 American Pacific Pool Service, Inc. has been providing the Dallas, Fort Worth Metroplex with quality service and workmanship since 1995. From stunning pool and spa renovation to keeping your pool sparkling all year long, American Pacific Pool Service is the prompt, professional and friendly solution for all your pool renovation and service needs. Our new company branded app can save you time and money. Download it now. We’re excited to offer our valued customers FREE access to our new custom branded app. We hope you will download the app and take advantage of the many benefits this technology has to offer. It takes just minutes to complete. The app is available for Apple and Android mobile devices, both phones and tablets that have Internet access.